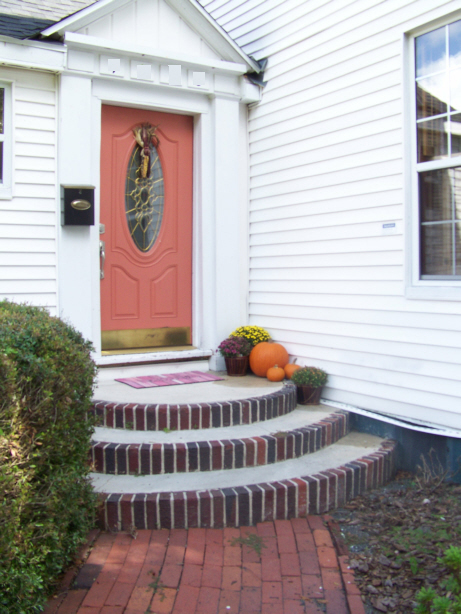 I decided to go really simple with my front door decorations for this fall. There are a couple of reasons for this. 1. It is a little cooler but still a lot warmer than up North so I wasn't sure how my mums would handle it. 2. Our front porch is in direct sunlight and so I didn't want to put put things out there that might bleach. Right now I'm watering my mums twice a day to keep them alive (and they are still looking a little wilty) so I'm not sure how long it will last, but for the time being, it makes me happy to see it when I get home! I just found your blog today! I love your home and projects!My 2 sons and are are gluten free for various reasons so I know how it is to inspect every label and the other challenges that come with it! I'm your newest follower!